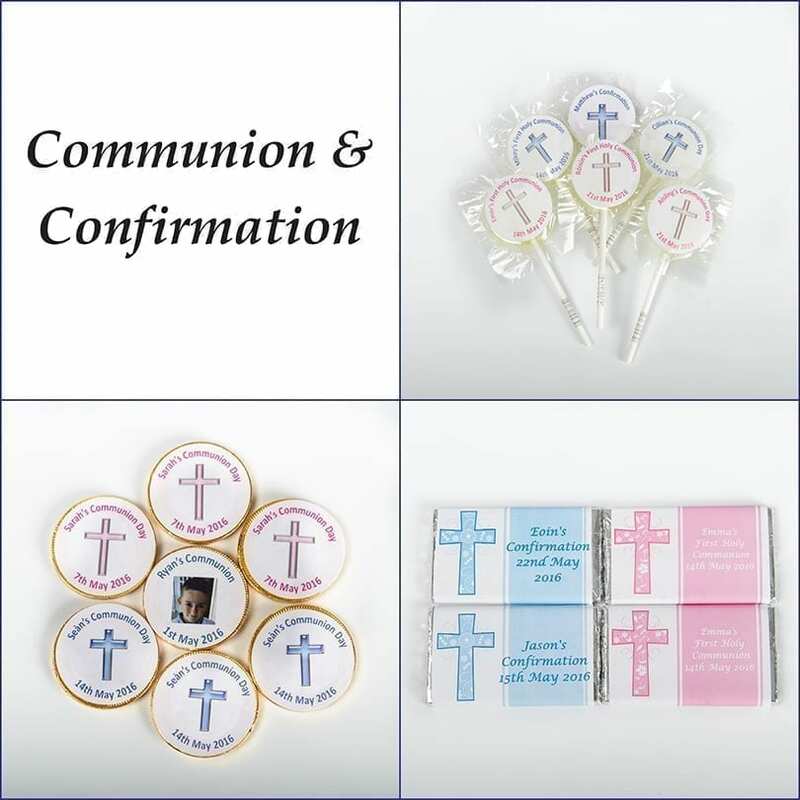 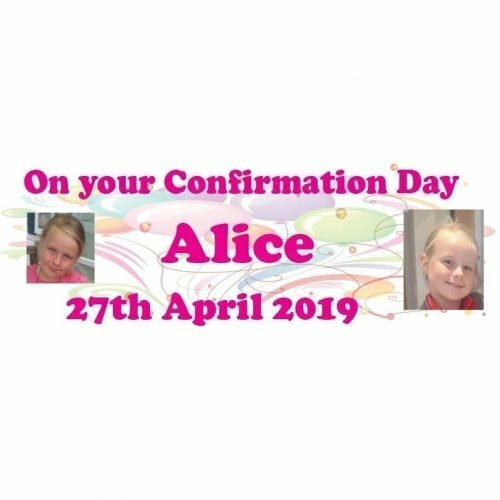 Our personalised communion confirmation chocolate bar is perfect as a First Holy Communion or Confirmation favour. 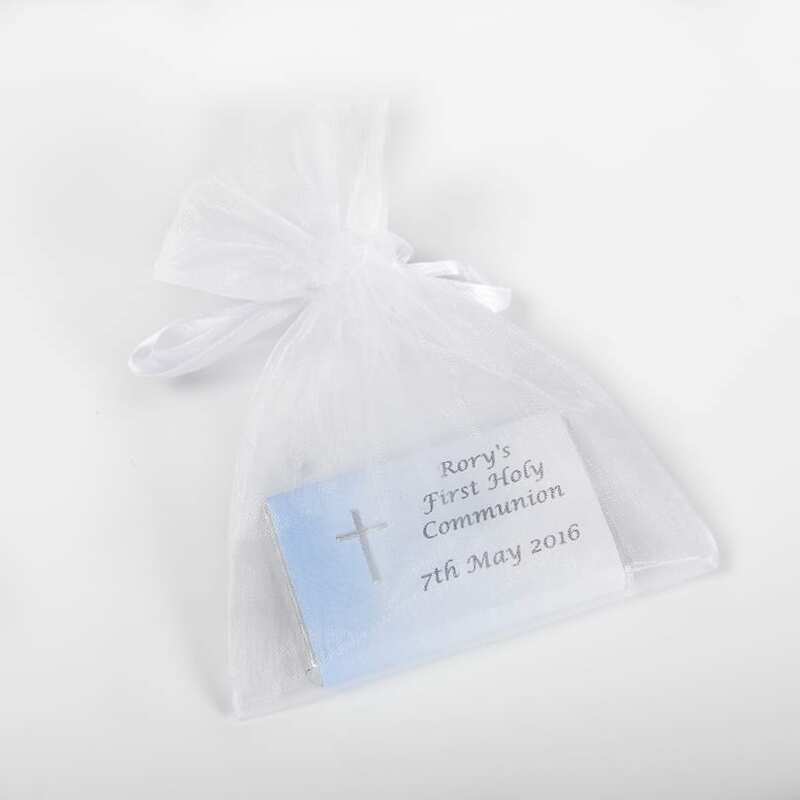 This wrapper can be personalised on the front and the back and comes with our mini 10g bar of milk chocolate in a White, Pale Pink or Pale Blue Organza Bag. 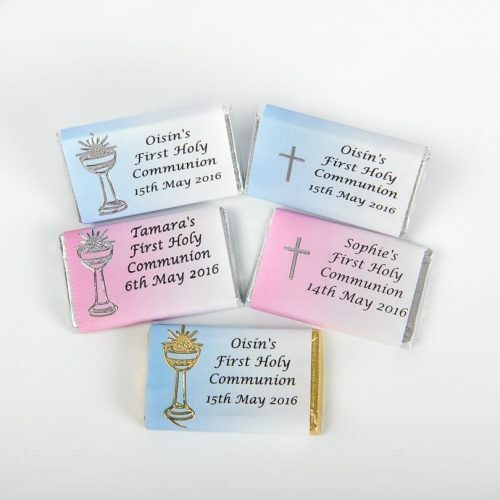 There is a choice of silver or gold embellishments which are placed on the wrappers after printing – choose from a Cross, Dove or Chalice.